The PC version of No Man’s Sky has a lot of issues– enough that it is being slammed in the gaming community, and is generally being considered the worst PC port since the infamous Batman: Arkham Knight last year. However, it seems that all the issues and even the bad press cannot deter players’ enthusiasm for the game- Steam statistics reveal that No Man’s Sky is the biggest launch on the platform this year, with a peak concurrent player count of 212,620 players. This makes it the most successful launch on Steam this year – yes, more successful than Stellaris, Stardew Valley, Dark Souls 3, and even XCOM 2 – and also one of the most successful Steam launches since The Elder Scrolls V: Skyrim all the way back in 2011. The best part is that the game isn’t showing any signs of the enthusiasm dying down- a peak of 127,251 players were playing the game concurrently today, which indicates that it has had an unusually good hold- in spite of all the warts on the PC version of the game. This, coupled with the success of the PS4 version of the game, makes No Man’s Sky an indisputable hit. 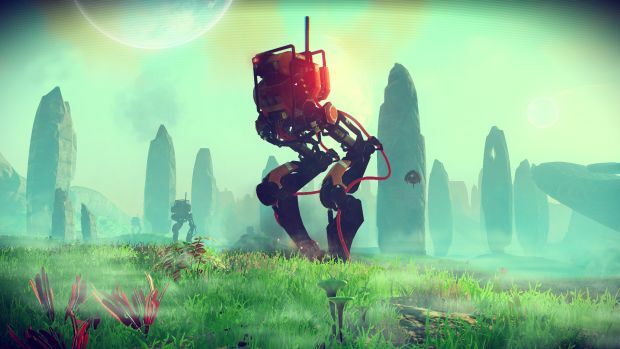 It might be because, ultimately, in spite of all the problems that No Man’s Sky ultimately has, it is a fundamentally appealing concept at its heart that it is hard to not warm up to eventually after playing it a bit.